Ultra Aluminum Fence Blank Gate Posts | Hoover Fence Co. These posts have a heavier wall than standard posts to support the weight and slamming of heavier gates. "Blank" means it has no holes in the posts for section rails to slide into. Wall mount brackets are used to mount fence sections to this post. Be sure to order a wall mount bracket for each rail that will be attached to this post. 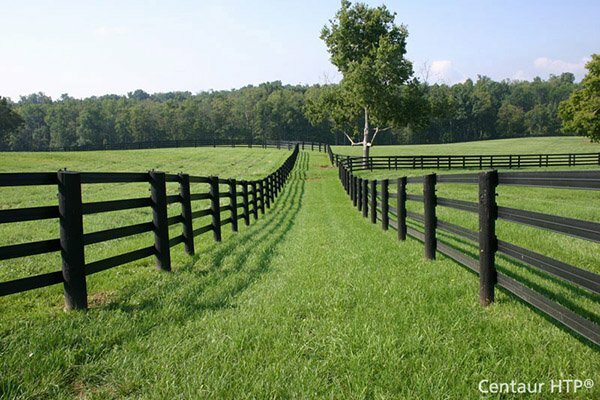 This post is normally used as a terminating post when a gate is on the end of a line of fence. The gate blank post would be used as a latch post for the gate. It is better to plan your project to hang gate hinges from regular gate end posts, since the attached section provides additional support to the post as opposed to hanging it on a gate blank post. That post is free-standing and is not as strong as the supported one. 4" gate posts recommended for gates over 24 sq. ft., especially if a gate operator is to be used.